How many times have you wished you had a portable sound source when troubleshooting wiring in the studio or at a live show? The Pink Stick Precision Audio Test Signal Generator provides Pink Noise, Pulse and 1kHz Tone. Phantom powered & no batteries required. 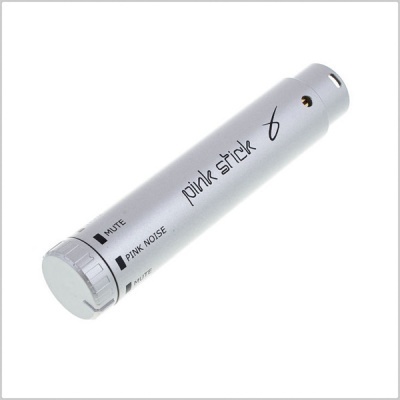 Plug Pink Stick into one of your mixer channels, select phantom power and 1khz tone or pink noise generator. Make sure signal only goes to one channel (eg Right R.) Your audio can then be mixed to the left.